A universal notebook adapter to charge nearly any type of notebook. 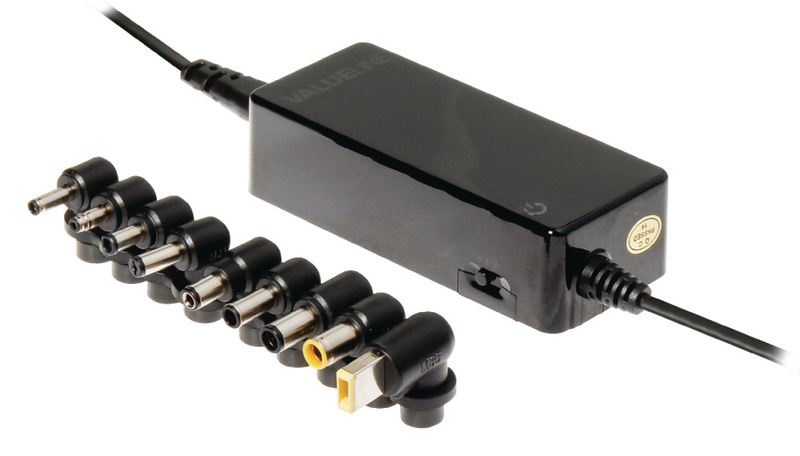 The adapter is supplied with 10 different and easily changeable power tips, which are compatible with many lap tops and notebook devices. Supplied with the following DC Adaptor plugs. 5.5 x 2.5mm, 6.3 x 3.0mm, 6.5 x 1.4mm, 5.0 x 3.4mm, 7.4 x 5.1mm, 7.9 x 5.6mm, 4.75 x 1.7mm, 5.5 x 1.75mm, 4.5 x 3.0mm and 11.0 x 4.6mm.